“Corruption. It’s like a demon sitting on my brain and eating it with a fork and knife.” So bemoans a character in the novelist Aravind Adiga’s Between the Assasinations set in India. While it is commonplace and easy to bemoan the pervasiveness of corruption in India, it is harder to get a sense of what it is doing to the state itself. The case of Harish Gupta, a retired member of the elite Indian Administrative Service (IAS), reveals the dramatic breakdown of confidence and trust in the state that the talk and practice of corruption can precipitate. Gupta has been embroiled in one of the most high-profile corruption scandals of the past two decades, the coal allocation “scam” or “Coalgate” as it is popularly known. It is centred on coal allocations made between 2004 and 2009 by the government of India to public sector enterprises and private entities. A report issued in 2012 by India’s central auditing agency, the Comptroller and Auditor General (CAG), questioned the manner in which these allocations were made by the government of India. The CAG was of the opinion that the government could have made more of a profit had it opted for a process of competitive bidding in coal allocations. What appeared at the outset to be an issue of efficiency and profitability, however, soon morphed into an outright corruption scandal. The scam implicated the entire state apparatus, from the then prime minister Manmohan Singh down to various officials in different ministries in Delhi. Much to everyone’s surprise and horror, it also swept up Gupta, an officer who is widely believed to be an exceedingly honest, humble, and intelligent civil servant. 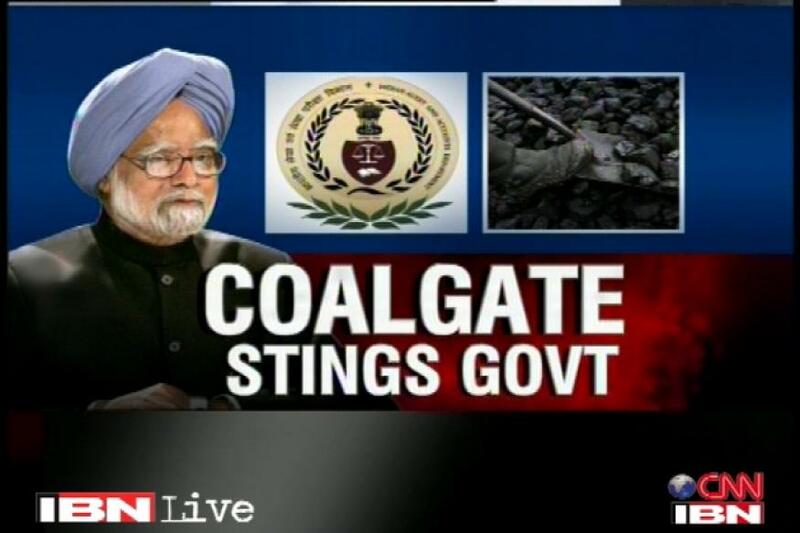 As secretary of coal to the government of India over 2006-08, a period when several of the questioned allocations took place, he was directly implicated in the scandal. “Coalgate” burst on the national scene in India in 2012, and ever since then, Gupta – along with another accused – has been subjected to numerous and unrelenting investigations and legal action. In a recent twist to events, 68-year-old Gupta (pictured below left) took the startlingly unprecedented step of surrendering himself to a special court. He informed a CBI special court judge that he was unwilling and unable to fight the multiple cases against him. He spoke of the straitened financial circumstances he was in, refused the help of the court, and professed a willingness to go to jail. This is, by any measure, an extraordinary act of self-surrender, and we need to think more about what this gesture means and what sorts of circumstances could trigger it. The legal costs are punishing for a pensioner such as Gupta and, no doubt, he is physically and emotionally exhausted by fighting several judicial and intelligence agencies all at once. Not to mention the often-salacious reports in the mainstream media where his culpability is tacitly – if not overtly – assumed. Even if Gupta were to know how to muster the resources – financial, emotional, legal, physical – to fight off the allegations, perhaps he feels it will be a Pyrrhic victory. He has been quoted as saying that he suffers from various medical conditions and is not certain if he will live to see the completion of the trial. If that is to be the case, said Gupta – who has always maintained his total innocence and said every decision was taken in good faith – he wouldn’t like anyone to think he had escaped punishment. The silver lining to this entire sorry saga is the response of his fellow IAS officers. Several of them are coming together to support him. Much like Gupta’s self-surrender in court, this is an extraordinary show of solidarity. It will be one of the first times that IAS officers will leave aside their own petty rivalries to rally behind a colleague whose innocence they are convinced of. Why, after all, are we seeing such a rare form of collective activism by the bureaucracy? Corruption is what anthropologist Michael Taussig described as a public secret – its existence is generally known but, for one reason or another, cannot easily be publicly articulated. The bureaucracy, more than any other body, is fully cognisant of which of their colleagues is or isn’t corrupt. In 1996 the IAS association of Uttar Pradesh (Gupta’s home cadre) voted on who were the three most corrupt officers in the state in a secret ballot. Given that all three were subsequently convicted in corruption cases the list was remarkably accurate. There was also never a murmur of generalised protest of such a nature in previous high-profile cases as Gupta’s surrender has provoked. The Gupta affair is cruelly tragic at an individual level. But it also holds alarming ramifications for the Indian state that need to be spelled out. First, as with all the other cases of honest bureaucrats being falsely embroiled in similar witch hunts by various arms of the Indian state, it is a heavy disincentive to anyone who is truly honest and wishes to serve the state diligently. It is not just that, as the old saying goes, honesty doesn’t pay. As the Gupta case shows, being honest can actually actively hurt. For you could find yourself in a position similar to his, where you do not possess the financial clout to pay the exorbitant fees demanded by the top lawyers to outwit the multiple judicial and investigative agencies. The Gupta case also serves to deepen a fear among serving bureaucrats against making any decisions at all. They are being slowly paralysed into inaction as they know that their signatures and decisions might be uncharitably scrutinised in the near future. These decisions can be retrospectively read as indicative of malfeasance, rather than diligence or creativity. Most disturbingly of all, the Gupta case serves to deepen a crisis of confidence in the Indian state. If left unchecked, it is this profound public distrust of the state and its agents – rather than corruption – that will be impossible to control.